Hiro Fine Art is interested in purchasing artworks by Henrietta Clopath. Henrietta Clopath was born in Switzerland and spent her early years studying art around Europe. She lived in Dresden and Paris, France and studied under the artist Jean-Francois Raffaelli. She was the head of the art department at the American College in Constantinople, Turkey for several years before immigrating to America. Clopath’s lived in Minneapolis, Minnesota and was an art teacher at the University of Minnesota. 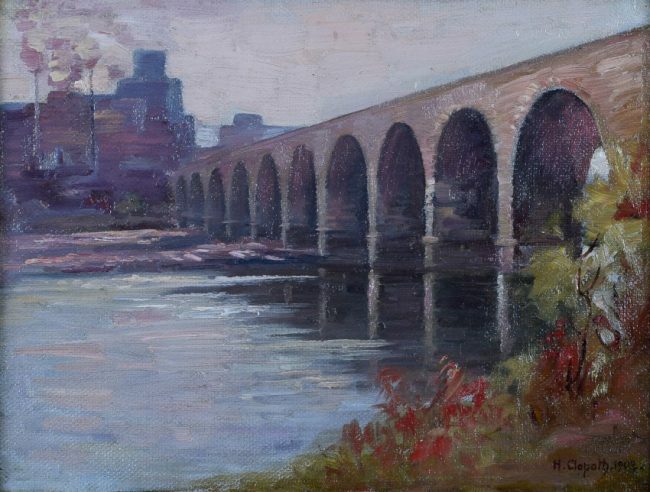 She painted scenes throughout Minneapolis and was a fixture in the artistic circles. She eventually settled in Tulsa, Oklahoma in 1913. She became an established artist in Oklahoma and won a gold medal at the First Association of Oklahoma Artists Exhibitions in 1916.